It’s been said of some sports dynasties that they don’t rebuild, they reload. 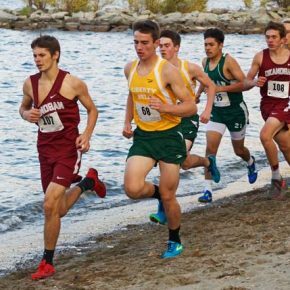 Liberty Bell High School will once again host the CW B League championships on Saturday (Oct. 20) — this year on a new course. The boys’ and girls’ teams will both be defending their titles. The revised course will allow the runners to co-exist with the Lady Lions soccer team, which will be hosting major rival Brewster at the stadium starting at 11 a.m.
Against a field of two-dozen schools, most of them larger, the Liberty Bell High School girls’ cross-country squad took the team title at last weekend’s Leavenworth Invitational meet. 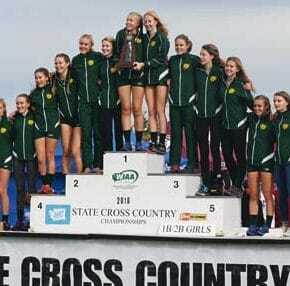 The Liberty Bell High School varsity girls’ cross-country team repeated last year’s first-place finish at the 12th annual Nike Twilight Invitational in Marysville on Saturday (Sept. 29), and the boys’ and girls’ squads racked up a host of personal records over the 5,000-meter course. 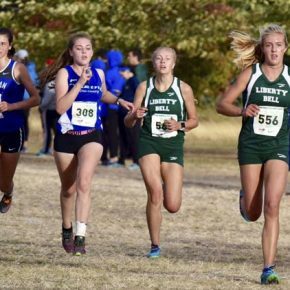 A green tidal wave of Liberty Bell High School runners once again overwhelmed the field as the Lady Lions claimed their second consecutive girls’ 1B/2B cross-country state title last weekend in Pasco. 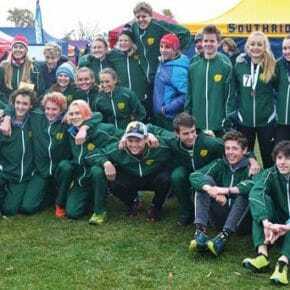 The Liberty Bell High School girls’ and boy’s cross-country teams handily secured their return to the state championships with first-place finishes at the District 5-6 1B/2B meet on Oct. 25 in Wenatchee. In cross-country running, 15 is a perfect score. 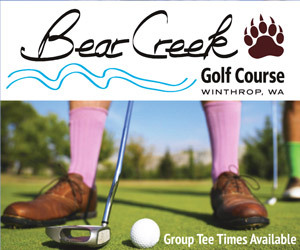 The Liberty Bell High School varsity girls’ team achieved perfection for the second consecutive year while winning their third straight title in the CWB League championships at the Mountain Lions’ home course on Saturday (Oct. 21). Liberty Bell High School’s cross-country team won three out of five races at the Oroville Invite last Friday (Oct. 13), in the last tune-up competition before the championship part of the season starts this week on the Mountain Lions’ home course. 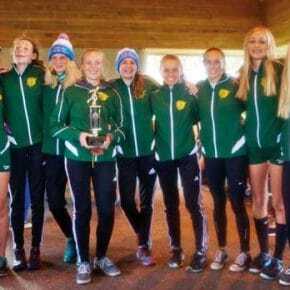 For the second consecutive year, the Liberty Bell High School girls’ cross-country team brought home the first-place trophy from the Leavenworth Invitational last weekend, outrunning 18 other teams from both sides of the Cascades.